An article published in the journal “The Astrophysical Journal” describes the study of a pulsar cataloged as PSR J1846-0258 found among the remnants of a supernova called Kes 75. 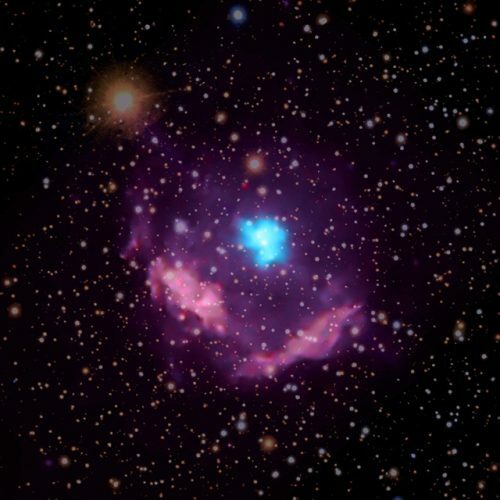 A team of researchers used information collected with NASA’s Chandra X-ray observatory between 2000 and 2016 to study the pulsar’s characteristics. They confirmed that it’s the youngest discovered in the Milky Way and could help to better understand that kind of objects, also because they discovered a pulsar wind nebula, a cloud of gas around it created thanks to a very elevated rotation and magnetic field. 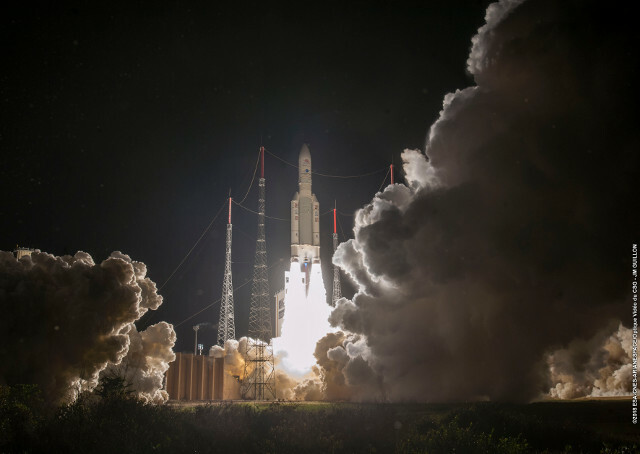 A few hours ago the two space probes of ESA and JAXA’s BepiColombo mission blasted off on an Ariane 5 ECA rocket from the Kourou base in French Guiana. Almost 27 minutes after launch, the spacecraft regularly separated from the rocket’s last stage along with the Mercury Transfer Module (MTM), which will provide the propulsion through its ion engines to transport the probes to the planet Mercury. 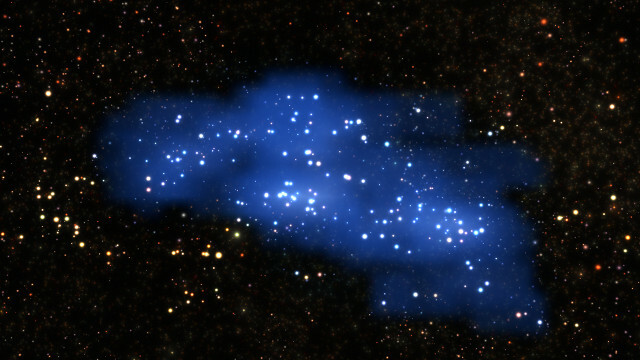 An article published in the journal “Astronomy & Astrophysics” describes the discovery of a huge galaxy proto-supercluster with a mass close to that of the largest existing structures in the recent universe. A team led by Olga Cucciati of the Italian Institute for Astrophysics, Bologna discovered it thanks to the data collected by the VUDS (VIMOSUltra-Deep Survey) project and named it Hyperion after the titan because it’s really titanic. the researchers estimated that this structure dates back about 2.3 billion years after the Big Bang, the largest and most massive discovered dating back to such a remote era with a mass estimated at over a million billion times the Sun’s. An article published in the journal “Nature Communications” describes an analysis of the gamma-ray burst cataloged as GRB150101B. 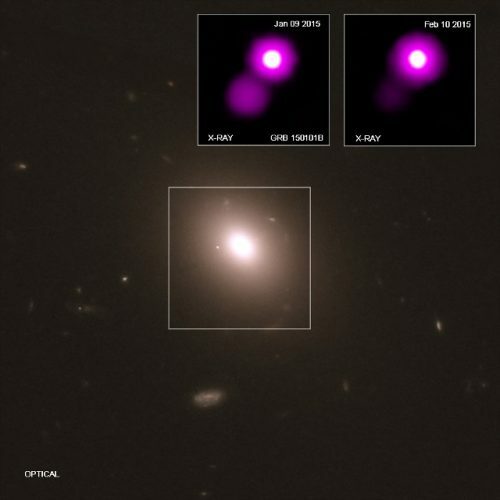 A team of researchers led by Eleonora Troja of NASA pointed out the similarity between this gamma-ray burst and the electromagnetic signals emitted by the event cataloged as GW170817, the neutron star merger detected at both electromagnetic waves and gravitational waves. A year after the sensational announcement of that event, the authors of this new research believe they have discovered another one of that type. 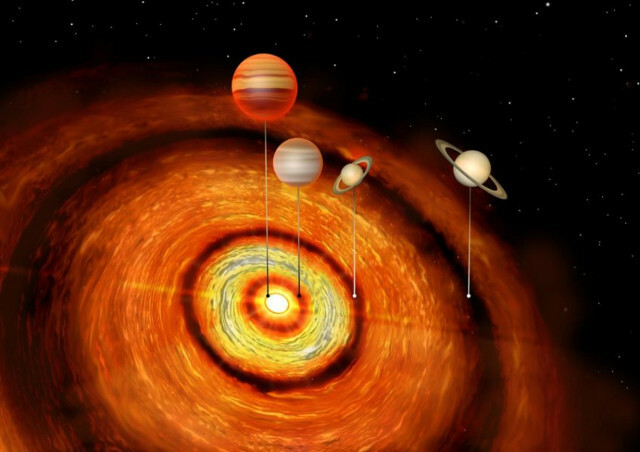 An article published in the journal “The Astrophysical Journal” describes the discovery of four gas giant planets orbiting the young star CI Tauri. A team of researchers coordinated by the British University of Cambridge used the ALMA radio telescope to study that star system in which one of the four planets had already been discovered, a hot Jupiter that was the first in its class to be discovered in a very young system. There’s still a protoplanetary disc that revealed gaps where the other planets formed, much farther than the one already known.